Did Apple Kill The Trade Show? Trade shows are great. Or I should say used to be great. I used to be able to head to Las Vegas multiple times a year, to Berlin, Barcelona and even Singapore to see the latest products unveiled on a floor full of exhibitors. Apple used to take the stage at Macworld for product announcements. Microsoft, Samsung, HTC, Motorola, LG and others used to hold several press conferences a year at the Consumer Electronics Show, Mobile World Congress, twice a year during CTIA and at several other shows such as IFA in Berlin or Computex in Taipei. Some of those companies still hold press conferences, but for the most part Mobile World Congress was more about small unveilings. And sources tell me that this year's CTIA show in May (which will soon be folded into IFA) will be relatively quiet without any major announcements from the companies I listed above. When Apple left Macworld it decided to start holding its own press events on its own time. Then Microsoft started to do the same. This year HTC did its own press conference for the HTC One ahead of Mobile World Congress, and Samsung held its Galaxy S4 global event in New York City. Motorola, now under Google, will likely have its own announcements during Google's annual I/O developer conference in May. Palm once made news during CES, but it's dead now. BlackBerry holds its own events, too. Why did the trend start? Ultimately, no firm wants to be overshadowed by its competitors. So instead of trying to make announcements at the same time as everyone else, the companies are holding individual events throughout the year where the focus is purely on them. I like the strategy, I think it makes a lot of sense, but it also starts to give press less of a reason to show up at a trade show. Don't get me wrong: I know what trade shows aren't just about press. They're about sales. Companies want to show off products so that potential buyers can pick them up. A third-party cell phone store in New York City might still go to Las Vegas to check out the new cases they want to order for the year. Or a cell carrier might want to check out new backhaul equipment. At the Consumer Electronics Show, Best Buy might want to see the hottest TVs to keep in stock for the year. It's just that, these days, there isn't much of a focus at the shows to cater to press. I reached out to Sprint, Verizon, T-Mobile, AT&T, LG, HTC, Motorola, Nokia and Samsung to feel out the scene for CTIA in May. The general response seemed to tell me that there's not going to be anything huge happening. T-Mobile just held its Uncarrier event, so it doesn't really have a need to be there. HTC and Samsung already released their flagship smartphones, so unless there are smaller devices that are coming out, we won't see much from them. Samsung's Galaxy Note III is likely to appear during IFA in Berlin next September, so that show still has a bit of life in it. Ultimately, I think yes, Apple did make the first move that ultimately killed the trade show for press. Again, it's not necessarily a bad thing, especially because editorial teams can send a focused group of individuals to cover a single press event instead of an entire team of ten people to cover a major trade show. It's just an industry shift I've noticed over the past several years. 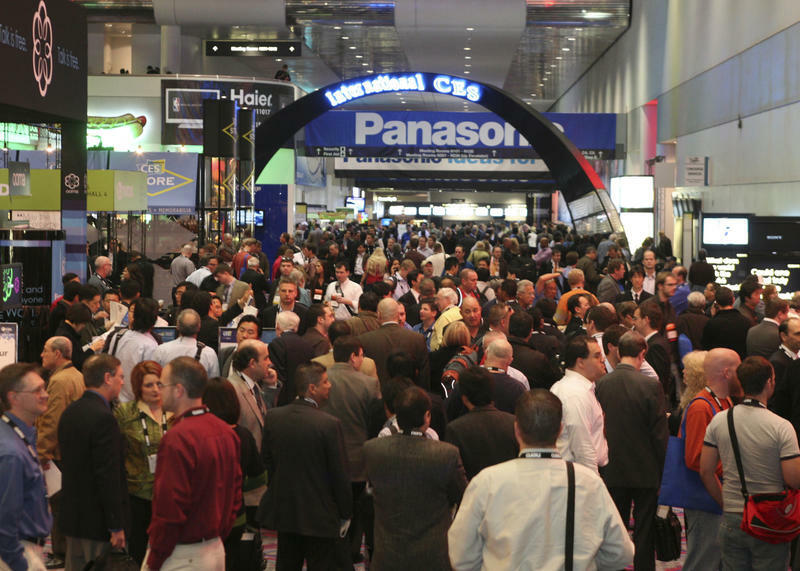 Many have argued that there's no need for two CTIA trade shows per year. We know that IFA and one of those shows will combine into a super mobile show in 2014, but I wonder if we shouldn't start eliminating more shows entirely.